If you’re taking your A-Levels this summer, it’s worth looking into revision apps to give you an edge; some of the best apps can involve using a combination of flash cards, mini quizzes, and links to notes and other content related to different courses. Apps can similarly be used as a way of sharing notes and mind maps with friends via social networks, and when used consistently, can help to vary your revision during the busy time in the run up to exams. This simply titled app is one of the most comprehensive you’ll likely find in terms of its content. Available for iPhones and other iOS devices, Revision App can be used for GCSE, university, and A-Level courses, and contains content that ranges from flash cards to quizzes. Indeed, Revision App has over a million flash cards, and can be synced up with Facebook and other social networks; other content includes video clip tutorials for core subjects like English, Science, and Maths, and access to listings for tutors. Representing one way to visualise difficult problems, mind mapping can be a good way to mix up your revision if you’re having problems with a topic, and can also be excellent as a way of enhancing revision for dyslexic students through visual aids. The iMindMap app creates interactive versions of these maps, which can be saved and used throughout your revision. Some notable features include Focus In & Out, whereby you can break down larger scale mind maps into smaller sections. An app that’s ideal for double checking your notes, and for brushing up on your writing before an exam, Oxford A-Z of Grammar and Punctuation is available for iOS and Android devices. Using this kind of app, which can be easily broken down into different filters and popular questions, can form a complement to more intensive tutoring and revision in other areas. While not specifically a revision app, Evernote does represent one of the best ways of organising and collating your notes. The app can be used to sync up different notes, from written through to video and audio content, which can then be stored in tagged folders. The genius of Evernote is its simplicity, where you can bring together multiple parts of your revision into a format where you can identify the key information you have so far, and where you might need to build up your studies. This app, available or GCSE as well as A-Level, is particularly useful if you’re studying Maths or Pure Maths; it stores and displays different pure maths formulae, as well as vectors and other elements from calculus. You can access these formulae using flash card style images, which can be grouped together into different units. It’s worth investigating these apps if you want to mix up your revision; using apps on smartphones and tablets can give you an opportunity to take a break from traditional textbooks and other online revision aids. At the same time, these apps can be used when you’re away from home, and can be valuable for double checking notes or for writing down an idea or important piece of information without having your computer or a pen and paper to hand. Author Bio: Alice Aires completed her A-Levels a few years ago, and wishes she had been able to use more apps at the time. 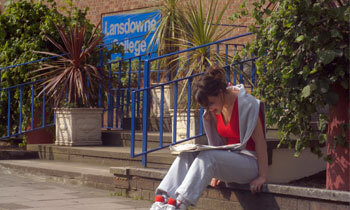 She writes on education and exam busting techniques, and puts down a lot of his exam success to her independent schooling at Lansdowne College.